Police took action to remove protesters at a coastal area in Japan's southern prefecture of Okinawa, on Wednesday. The day marks one year after the start of full-scale landfill work to relocate a US marine base there. Crowds of activists held a sit-in protest outside the gate of US Camp Schwab in Nago City. The area is adjacent to the planned reclamation site. 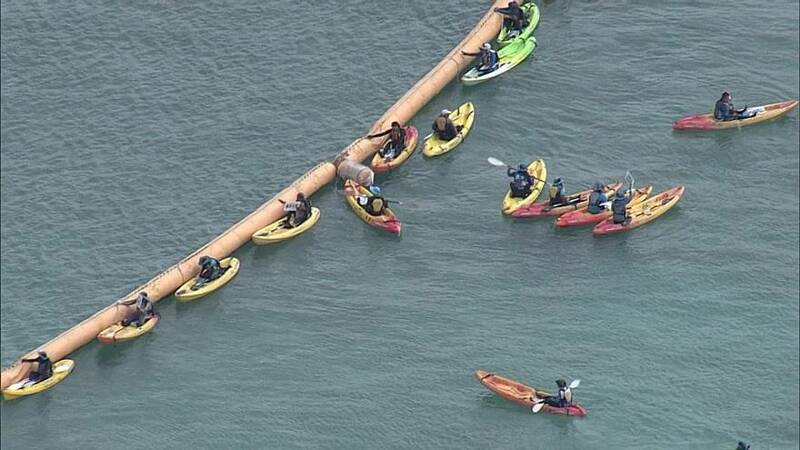 About 80 canoes and boats carrying protesters were also at sea nearby. The US Marine Corps Futenma Air Station is located in a densely-populated area of Ginowan City in Okinawa. In 1996, the governments of Japan and the United States agreed to close it once alternative facilities became available. The project involves building 2 V-shaped runways off the district of Henoko in Nago.